At Peacock Press, we love what we do. The passion we have for our work enables us to take ownership of our clients' projects. We constantly strive to deliver the highest-quality products possible. To provide high quality products and value added services to our customers, while building professional long-term business relationships; creating growth and success for our clients. Peacock Press was originally founded as Texas Business Printers in 1984. 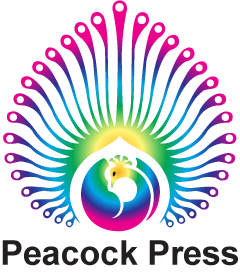 In 2004, we changed our name to Peacock Press. While our name changed, our service and commitment to that service has not. Peacock Press now stands out in the printing industry due to the use of state of the art technology, a high level of customer service, and a commitment to meeting our customers' deadlines. We view each client as our next challenge, and we look forward to becoming your business partner.